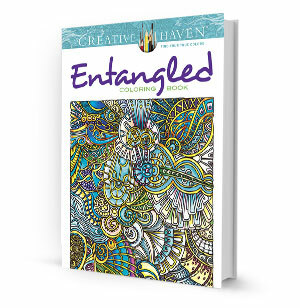 If you like the cover picture, you will love the Entangled Coloring Book! Included are thirty-one imaginative, sweeping designs, featuring repetitive patterns that represent relaxation, tranquility and creative expression. Interlocking and overlapping patterns offer the opportunity to experiment with different media and color techniques, and the perforated, single-sided pages make displaying your work easy!